Here's the deal. I'm really excited about my new site (it should be SO MUCH EASIER to navigate), plus I'm pretty psyched about the various real-life things I'm involved in… Snap is next week, then the weekend after that is the Color Me Rad run (you can still enter to win free registration here! ), then the next weekend is Breathing Space! 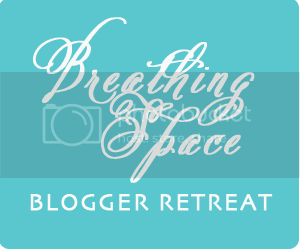 I'm involved on the Breathing Space Council, and I'll be doing some of the design for various things we need printed up. We still have a few spots left at the retreat, and at $75, it's pretty budget-friendly! Come back Friday for ye olde moste awesome giveaway!